Have an older iPhone affected by #iPhoneSlow ? Apple's offering cheap battery replacements through 2018. Here's what you need to know. krishnansasikumar, bgl321 and blessed2bamommie like this. That’s awesome news. I can envision a long line of people checking their battery status and some lengthy discussions on why their battery needs to be replaced. Kudos to Apple for this positive step. I think this is a perfectly fair option. Good deal! I might take advantage of this sometime later. My 27 months old 6s Plus will need a new battery soon. 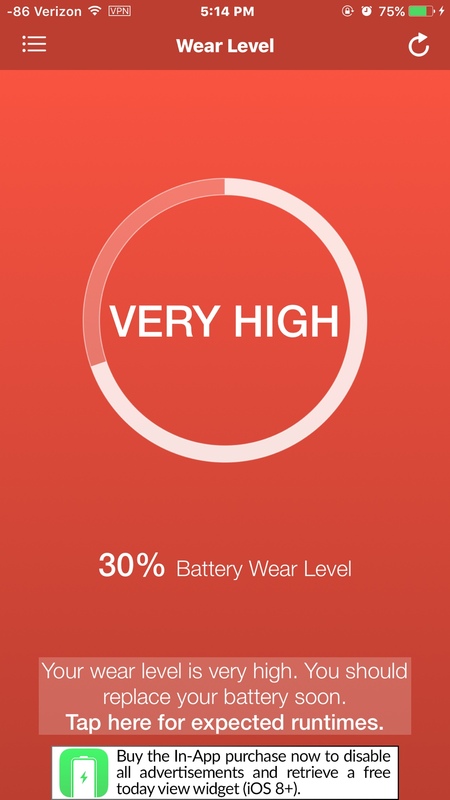 It's at around 70% battery life, according to the Battery Life app. That may not be accurate, but probably close. This is great news for me...I have a 6s as a spare and will take advantage of the battery replacement. What app is that ? Great news from Apple. My 6S battery is in good shape at 87% battery life according to the Battery Life app. I’ll probably take advantage of Apple’s replacement program sometime in 2018. Not much of a difference I suppose, but I would like a straight answer. Heh. Yeah, it does that when you first open it. If you wait a while, it gets a more constant reading. But I think they're just guessing, based on whatever info they can use. Apple no longer gives the devs that info like they used to. Also, don't check it when the phone is plugged in. ThePinkChameleon, comiken205 and fabio984 like this. My phone (knock wood) runs fine with all this battery/throttling crap going on. I'm not a power user so it doesn't affect me and I honestly don't have any opinion on it. Does it surprise me what Apple is doing... No. But it is what it is. I'm not going to throw a tantrum about it lol. I will take advantage of the battery replacement on my 6S Plus soon because I don't plan on upgrading my phone any time soon. I'm going to use this for as long as I can. 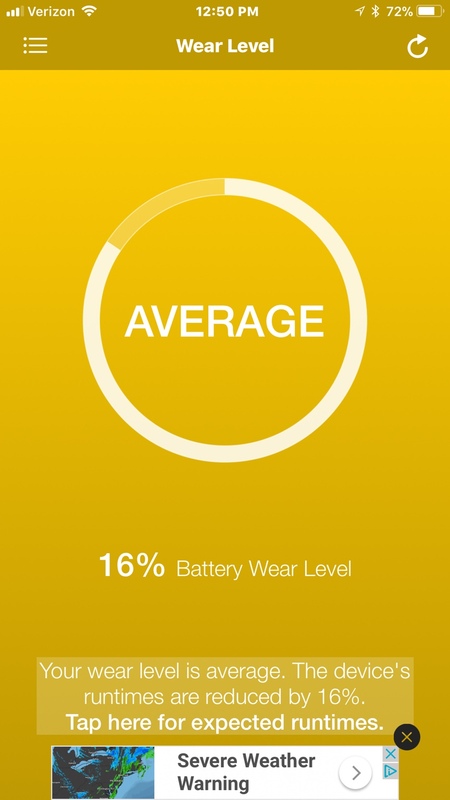 My battery wear is pretty average according to Battery Life app (January will be 2yrs I've had my device). TgeekB and Just_Me_D like this. How can somebody replace iPhone battery if we do not have Apple store in our country. Would the authorise dealers do it for us? Yes, they will. I don’t have a store in my city, but I have an authorized repair shop in the mall. I go there for problems. I’m very happy about this, and looking forward to the upcoming software update with more details on battery. Great! I might do both my original 6 and the hand me down I got when I cracked my screen! I wanted to pass the 6 down to my teen. I might not bother with her SE. She said she was having issues but it ages out at ios 10 so I might focus on the 6 to hand down to her! The out-of-warranty battery service fee is $29 for all eligible iPhone 6 or later models. 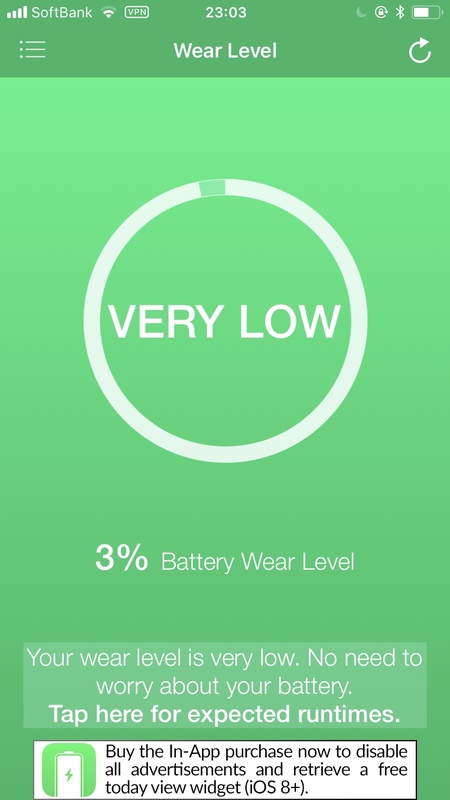 Battery service at $29 may be limited to one repair per iPhone. ... These prices apply only to battery repairs made by Apple mybkexperience. Last edited by Maxine626; 12-31-2018 at 11:28 PM.